Scream Queen Emily Booth Supports Frighten Brighton! “I have a huge nostalgia and admiration for the films of Hammer. The British film ‘industry’ used to have distinctive eras that were quintessentially British such as Hammer and Carry On and they are a slice of history that has ceased to exist. Not only are they wonderful films that captured gothic romance and indeed Britain beautifully but important parts of our history. 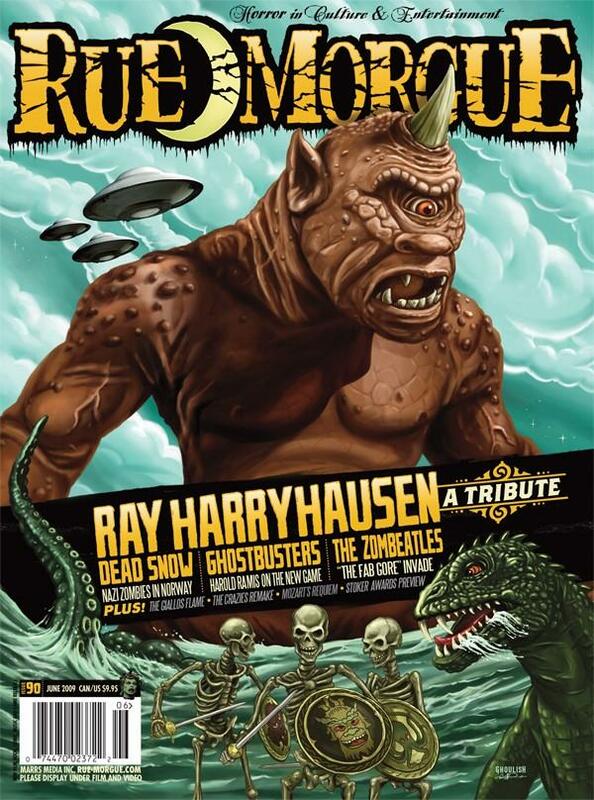 Fab Free Giveaways From RUE MORGUE Magazine! 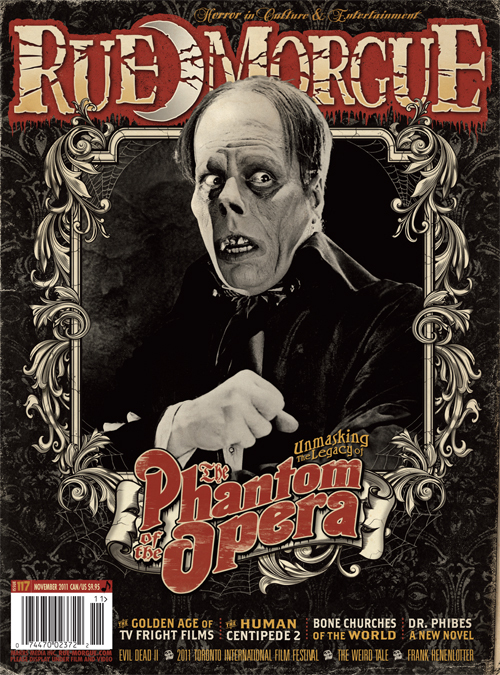 Rue Morgue, the world’s number one horror culture magazine, has given us some fangtastic goodies that we will be giving away to some of our lucky film fans at Frighten Brighton on Saturday 3rd December! If you buy a ticket for the Frighten Brighton Horror Triple Bill (either online or on the door) you could be a lucky recipient of one of our awesome Rue Morgue giveaways! 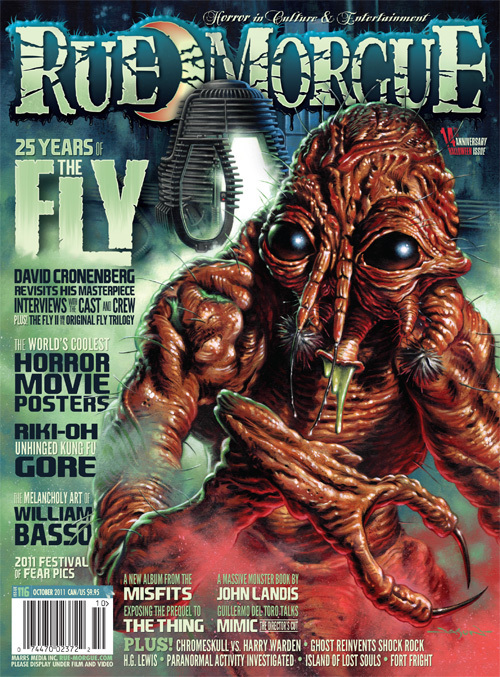 There are T-shirts, skins for your iPads and iPhones and free issues of Rue Morgue, the world’s leading magazine of horror! There will also be books, dvds and lots more so book your tickets today from WeGotTickets! 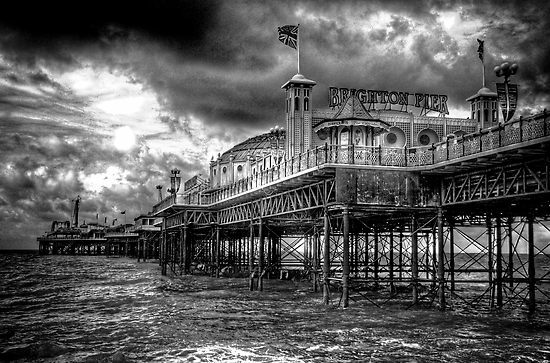 Frighten Brighton…be there, and be scared!! 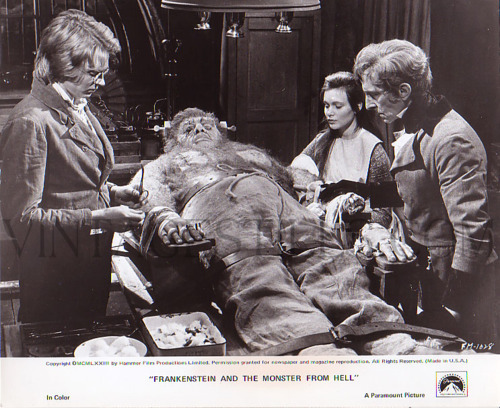 Hammer Horror Star at Frighten Brighton! 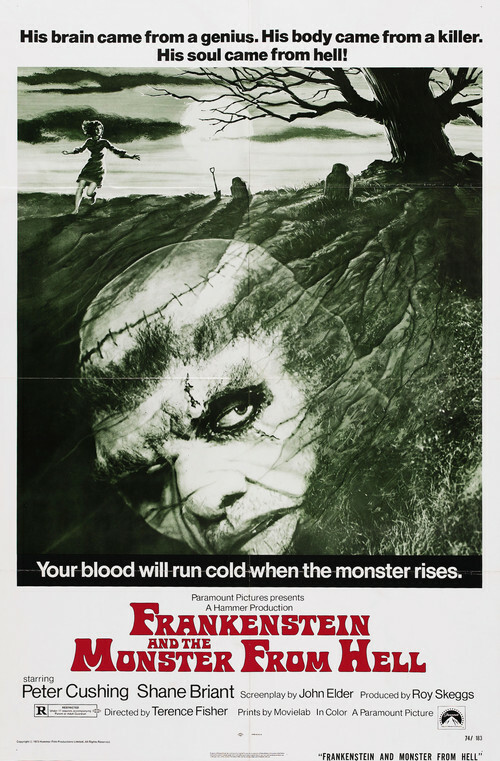 Hammer Horror star Shane Briant has filmed a special introduction to our Frighten Brighton event which we shall be screening exclusively before showing Frankenstein & the Monster From Hell (1974), the first of our Frighten Brighton fear-filled triple bill of horror! 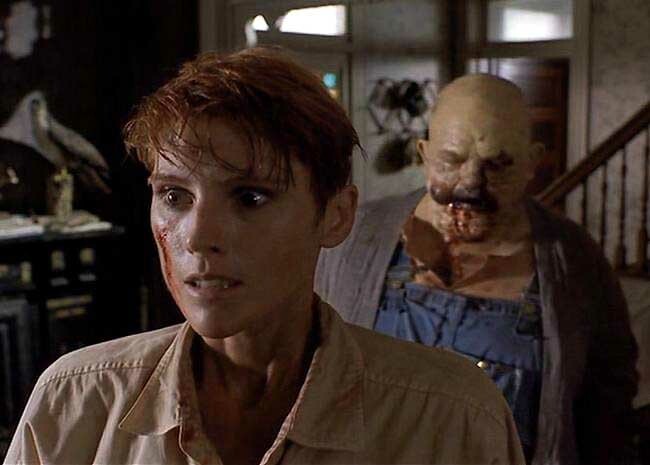 Shane has also filmed several short sequels to some of his classic horror films, the most disturbing of which is Beyond Dorian, a horrifying sequel to Dorian Gray, which you can view below. 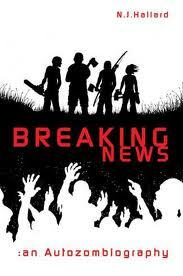 So some along to Frighten Brighton and see horror star Shane Briant on the big screen! Night of the Living Dead is the all time zombie classic and Frighten Brighton remembers the days when remakes were actually cool and brings the 1990 Tom Savini revamp to the big screen on Saturday 3rd December! 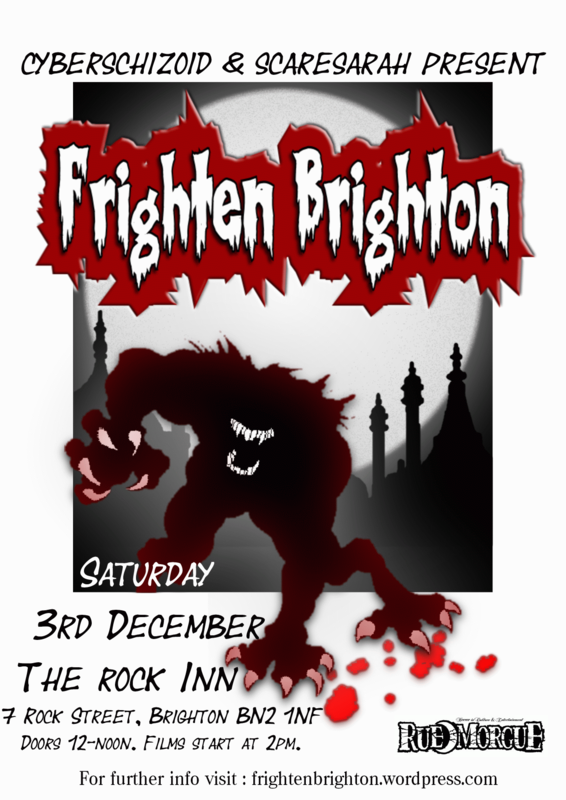 Come to The Rock Inn, Brighton and join the fearsome fun alongside your fellow horror fans! Tickets available now from WeGotTickets! 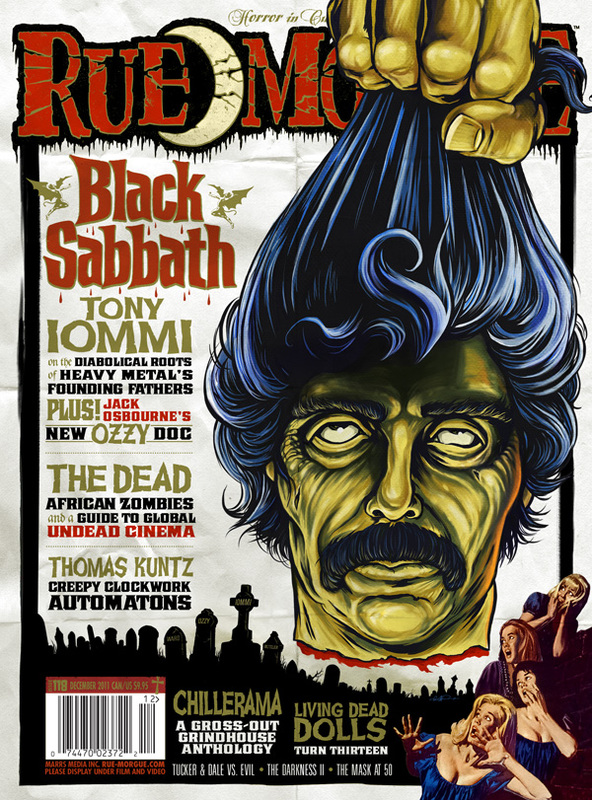 – http://www.livingdeadmedia.com Read the full review here.